Riding with friends new and old is a fun and fulfilling part of mountain biking. There are a variety of opportunities for semi-organized group rides in the area. 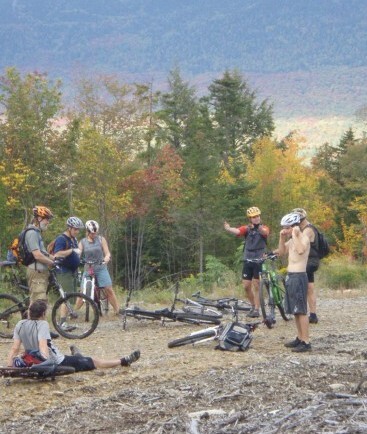 There are several events planned this season which include a group ride so check our events calendar and Facebook page as well as the Maine Huts & Trails website. Spinnin’ Sugar is a women’s mountain bike group that organizes women’s only rides. Visit their page at Spinnin’ Sugar for more information. CRNEMBA will be trying to organize more group rides this season so stay tuned and you can always post on our CRNEMBA Facebook page if you want to organize your own ride.